Brushed Stainless Steel 1.7 Litre Capacity 2200W Kettle. 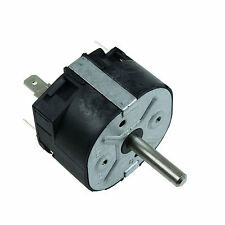 Power: 2200W max. ThisBrushed Stainless Steel Kettle and Toaster Set features contemporary styling and would look great in any kitchen. It has a hinged lid for easy filling and boil dry protection for safety. New box mint condition due to storage. MPN: 23863. Frozen bread, cancel, reheat function. The toaster is designed with a convenient high-lift facility, so you can easily retrieve smaller slices, while avoiding burnt fingers. With a removable crumb tray for easy cleaning and a simple cord storage function, you can effortlessly keep your worktop in order. Perfect for big families and busy households, the Breville Lustra can toast four slices at once (so there’ll be no more queueing up for your breakfast). With adjustable width slots, it’s also perfect for bagels, crumpets, croissants and extra thick slices of bread (or thin, for that matter). The 1.7 Litre 2200W Fast Boil Blue LED Illuminated Electric Cordless Glass Jug Kettle from Voche® has a modern, stylish design with a stylish blue LED illuminated feature. Power 700W. It has a lift-off lid for easy filling and boil dry protection for safety. 2 slice wide slot with variable width function. Matches with the equalling stunning Marble Effect Kettle. Capacity: 1.7 litre (approx. 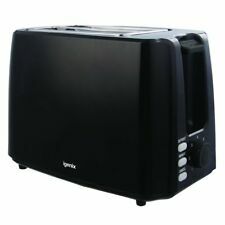 Black 2 Slice Toaster Specifications It features large water level indicator windows, cordless design and 1.7L capacity. Cordless base design. 3 LED indicator lights. It has a hinged lid for easy filling, a slide-out water filter and automatic cut off for safety. ). Add a contemporary twist to your kitchen surface with this chic diamond design 4-slice toaster. Type: Toaster. Number of Slots: 4. One Side Toasting: No. Lift System: Manual. High Lift: No. Extrawide Slots: Yes. Stabiler, separater Brötchenaufsatz. Aufwärmfunktion bzw. Warmhaltefunktion mit Kontrollleuchte. Frühstück Set 3tlg. Wasserkocher Toaster Kaffeeautomat apfel grün(Karton defekt). Küchen Set 3tlg. Edelstahl Wasserkocher 1,7L Toaster Ofen 19,5L Retro Rot Chrom. Boiling water has never been easier and more precise with the Voche® LED Digital Multi Temperature Kettle. Combining sleek design and high performance, this kettle is the perfect addition to any kitchen. 2 slot long - 4 slices. Reheat and Defrost functions. Mit Temperatursensor und 8 verschiedenen Bräunungsstufen ausgestattet. Für einen hohen Bedienkomfort sorgen die Automatische Pop-Up-, Auftau- und Abbruch-Funktion. Die 8 Bräunungsstufen sorgen für ein optimales Ergebnis. Toaster Cookworks 1500W 4 Slice Wide Slot - Stainless Steel/Black. Breville 4 Slice Toaster. Condition is Used. Dispatched with Royal Mail 2nd Class. The clean lines of the Tesco two-slice toaster will fit into both traditional and contemporary styles of kitchen. The Frozen setting will quickly defrost bread straight from the freezer, and there are Reheat and mid-cycle Cancel functions, too. 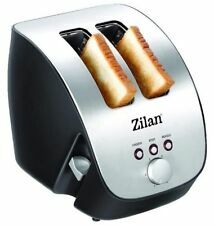 DUALIT CLASSIC COMBI 2 1 COMBI POLISHED TOASTER WITH SANDWICH CAGE. Dualit's Combi toaster is the ideal solution for those that want the flexibility and convenience of making both toast and toasted sandwiches. Its classic. 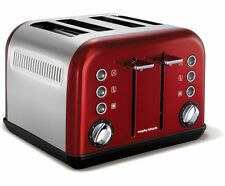 Simplicity and classic design are key to this Futura 2 Slice Toaster, as well as high performance. SWAN STAINLESS STEEL USED TOASTER This product has been used but still in full working order . I have uploaded pictures to show it is still in working order . Selling due to moving and getting new kitchen bits . Writing has come of toaster but buttons are reheat defrost and cancel . Model D4VMH GB. DUALIT FOUR SLICE POLISHED STAINLESS STEEL TOASTER. 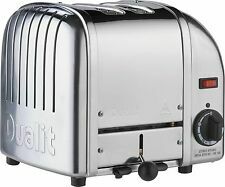 This New Gen Dualit Toaster is used, but it is very clean, very shiny, in very good to near excellent condition, and in full working order. TheFast Boil Dual Colour Illumination Electric Cordless Jug Kettle fromVoche® has an eye-catching design with a dual colour illumination feature, it lights up blue when plugged in and turns red during the boiling process! The toaster has a removable crumb drawer, non-slip feet and cable rewind. 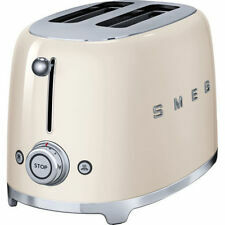 The toaster is equipped with various function buttons - Toasting Logo - T1 toasting logo on one side of each toast slice. With seven adjustable browning levels, as well as bread slice centring for even browning of both sides of the bread. 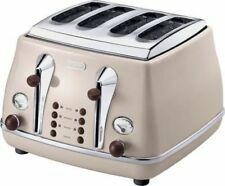 DeLonghi CTOV4003BG Vintage Icona 4 Slice Toaster 1.8kw Cream. This is brand new just the knob have come off. But you can still change the colour by twisting the metal peice that goes behind the knob. Pink /stainless steel 4 slice toaster. Geeignet für 2 Scheiben. Es sind alle Teile vorhanden ,können in einzelnen Fällen Gebrauchsspuren aufweisen! Es sind alle Teile vorhanden, können in einzelnen Fällen Gebrauchsspuren aufweisen! Große Auswahl an Jacken, Kleider, Jeans, Shirts, Pullover & Schuhe. Ein einziger Toaster wird auch heute noch komplett von einer Person in London gefertigt. Dualit hat früher zunächst nur für die Gastronomie produziert. 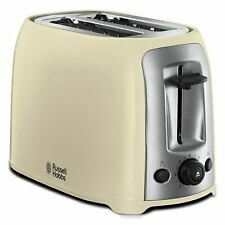 Daher sind Dualit Toaster auch heute noch für hohe Dauerbelastungen ausgelegt und bereiten zuverlässig knusprige, goldbraune Scheiben Toast zu. This toaster also has defrost, cancel and reheat settings and has a high lift facility. Other features include non-slip feet and a removable crumb tray. Each product is conceived and designed at its headquarters in the UK by in house designers, who are proud to produce award winning appliances, cookware and kitchen accessories available in a host of classic and modern shades that are designed for life. DUALIT TWO SLICE COPPER & POLISHED STAINLESS STEEL TOASTER. This is perfectly normal. Product 27450. This Toaster has two extra wide slots. Removable toast crumb tray with pull out handles. Extra wide slots, for extra wide bread. Celebrate the joy of breakfast with a glowing smile and a halo of seventies hair. UL-listed gadgets; wipe clean. Two-slice toaster (8 1/2"x 5"x 10") has reheat, defrost, and quick stop functions. Adjustable thermostat with an automatic manual switch-off. Used but in pretty good nick. Paintwork in very good condition, though the writing between the buttons has worn as shown in photo no 2. Add a pop of color to your kitchen! Extra Wide Slots with Self Centering Bread Guides and High Rise Toast Lift. 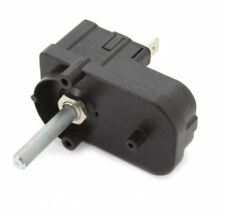 Factory fitted UK 3pin plug. Dualit 26205 2-Slot Lite Toaster, 1.1 kW - Black. The 2 slice Lite toaster combines Dualit's classic toaster styling with a contemporary and practical gloss finish that stays cool to the touch. It incorporates a bagel and defrost function, extra-wide 36mm slots and automatic pop-up. Der Toaster verfügt über 3 Funktionsschalter (rösten, auftauen und abbrechen). Dies bietet eine leichte Bedienung und eine gleichbleibende Röst-Qualität Ihres Brotes. Der Brotröster toastet auch tief gefrorenes Brot, hierzu einfach den dazugehörigen Funktionsschalter drücken. Akku - Handsauger. 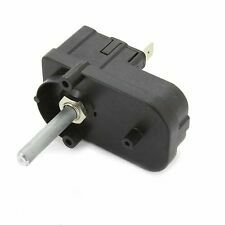 Cloer 3579 Toaster für 4 XXL-Scheiben, Edelstahl/Schwarz NEU und OVP. Adler AD 3207 Toaster 1500 Watt für 4 Scheiben weiß NEU und OVP. Bburago Fahrzeuge. Pull & Speed Fahrzeuge. Oberfläche aus hochwertigem lackierten Edelstahl mit Kunststoffapplikationen. Akku - Handsauger. Kaffeevollautomaten Zubehör. Wischmop / Ersatz-Wischbezug. 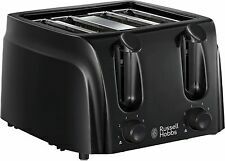 Cloer 3579 Toaster für 4 XXL-Scheiben, Edelstahl/Schwarz NEU und OVP. Adler AD 3207 Toaster 1500 Watt für 4 Scheiben weiß NEU und OVP. Maxi-Matic ECT-4829 Long Cool Touch 4-Slice Toaster with Extra Wide 1.25"